It is hard to overlook the distinctive black bottles of Radikon on the shelves. But for someone used to craft beer prices, spending more than $30 for a 500 ml(!) bottle of wine is not routine. When walking around with the bottle in the store one of the employees observed me and initiated a conservation about the unique style of Radikon — how his whites are more like reds and if I would let her know what I thought about the wine next time I visit the store. 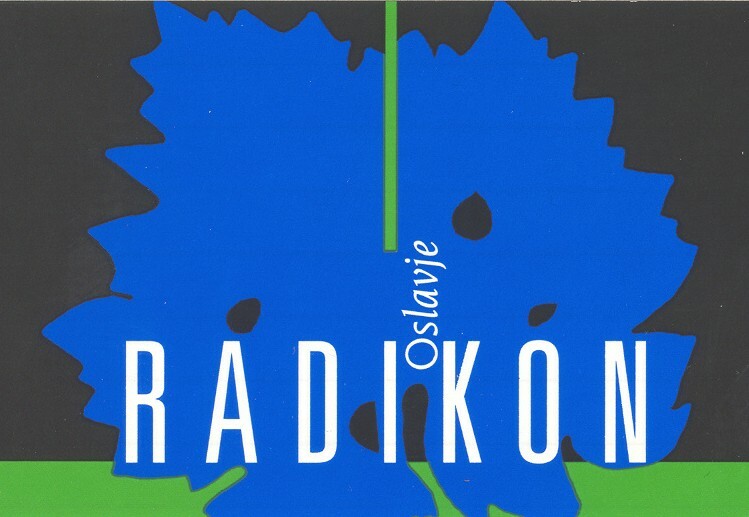 Stanko Radikon is one of the maverick naturalist wine makers from the Friuli region in Italy, close to neighboring Slovenia. His organic “Slovenian” wines are naturally fermented in large old barrels without temperature control. The grapes are harvested by hand, undergo long skin maceration and no artificial added yeasts or enzymes are used. Sulfites have been completely eliminated since 2002. The wines are not filtered. The 2002 Oslavje is made from 40% Chardonnay, 30% Pinot Grigio and 30% Sauvignon Blanc. Although the wine is classified as a “white,” the color in the glass is an opaque dark golden yellow. In the neck of the bottle we observed an uncommon residue (yeast?). One of the most remarkable experiences of drinking this wine is the sheer difficulty of describing it. No matter how long we swirled, smelled and tasted the wine, it refused to be domesticated. This is not necessarily a fault and we attributed it to our limited experience in describing wines of this nature. But later we discovered that even experienced wine writers like New York Times’ Eric Asimov had exactly the same experience! This should not be interpreted as Radikon making indistinct wines. To the contrary; the wines are mysterious and very enjoyable. Some notes were made to serve as a reminder and an attempt at characterization. It indeed smelled more like a red than a white — horsey, peaches, and Margarita (!). The taste was “crazy,” “indescribable,” but I also noted lemon and grapefruit with mild tannins and a nutty finish. The wine was medium bodied and a medium to long finish. Having little experience with natural wine makers I do not know whether my experience is representative for the style or reflects the magic of Radikon. But it was one of the most unique and exceptional wines I have tasted to date. To be continued when our budget allows.